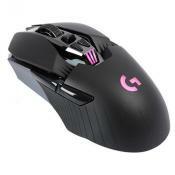 Includes a Gravity tuning system that allows you to adjust the weight of the mouse according to your liking. 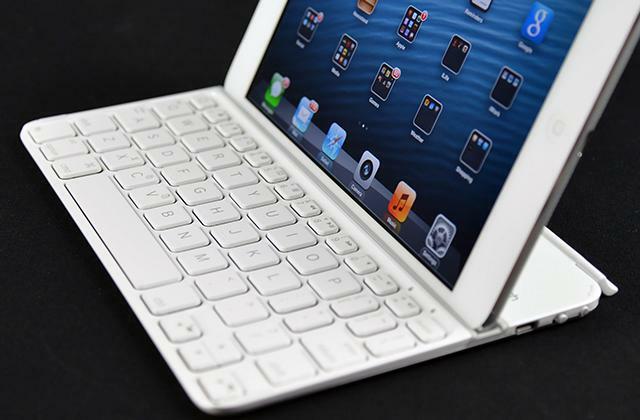 Additionally, the two compartments can be used to shift the weight from one side of the device to another. The silicon pads on the sides of the main mouse buttons are poorly glued. The Rival 650 has the revolutionary TrueMove3+ Optical System technology that features two optical sensors. A unique depth sensor can detect even the smallest changes in the altitude of the mouse (0.02") and stops the mouse in its tracks. This alone makes it one of the most precise models on the market. This mouse is capable of both working and being charged wirelessly, thanks to the Logitech PowerPlay Mouse Pad (available separately). Moreover, the LightSpeed technology provides you with the best in class response time. The nylon braiding on the USB cable is not of the best quality. A must-have for anyone looking for a gaming mouse that has a complete set of features, sensors, and a stylish adjustable design. The ambidextrous design makes this mouse easier to use by lefties as well. The Hybrid On-Board Memory allows for transferring your key mappings to another gaming system, thanks to the cloud technology. The mouse wheel is quite noisy, which can become annoying fast. 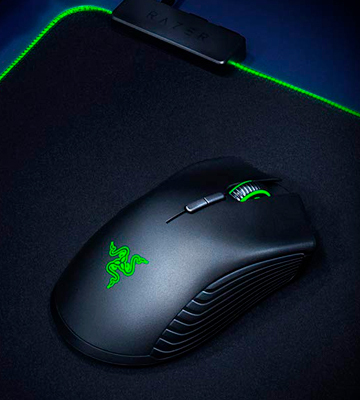 An ergonomic shape, a top-notch 5G laser sensor and precision to match - these features alone make the Razer Mamba a go-to pick for any gamer that needs an upgrade from a regular PC mouse to something that can bring them closer to the professional gaming scene. 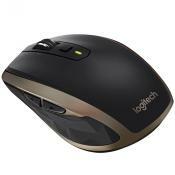 On top of the 2.4 GHz Bluetooth connection, this mouse can also be used in a wired mode that prolongs the battery life quite a bit. A good combination for both home and LAN-party gaming. Side buttons are hard to reach when using the Sniper button. 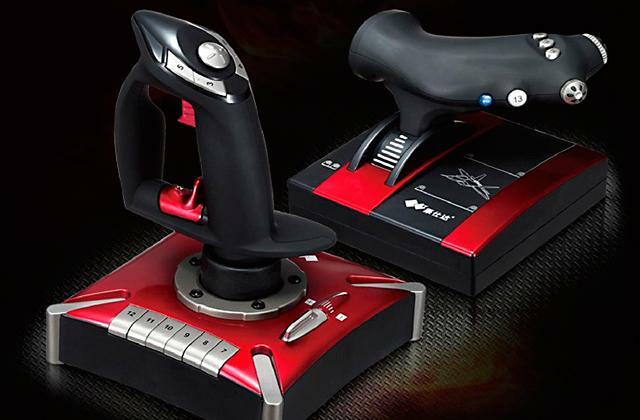 With 9 buttons on board, it doesn't really matter what game genre is your favorite - FPS, MOBA or MMORPG. Furthermore, the 16,000 DPI optical sensor that is paired with the custom-tuned Omron™ switches can reach an APM level of 300 and above. A special set of power saving chips and the ECO Mode of this mouse model can extend the service life of a regular AA battery to up to 15 months. 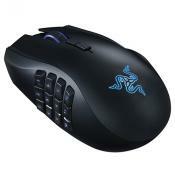 To add more, the ergonomic finger rests on the side make the mouse quite comfortable to use. The USB dongle is a bit stiff for some USB ports. A perfect solution for gamers that are tired of their regular wired mouse models and seek to find something more that can improve their gaming experience. Forget about the wires, with this affordable model you will be a hard opponent to beat, thanks to the 6 buttons and the precise sensor. 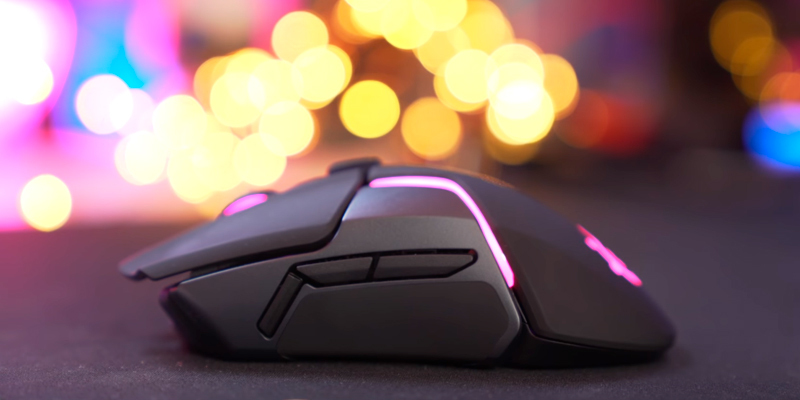 The first thing that catches the eye after turning the Rival 650 on is a bright and colorful RGB backlight that gives the mouse design a truly aesthetic look. 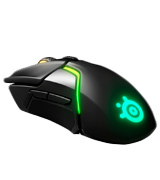 The LED light can be adjusted to your liking using the SteelSeries desktop application. Likewise, you can use the program to adjust almost every aspect of the mouse from colors and intensity of the lights to acceleration and DPI. 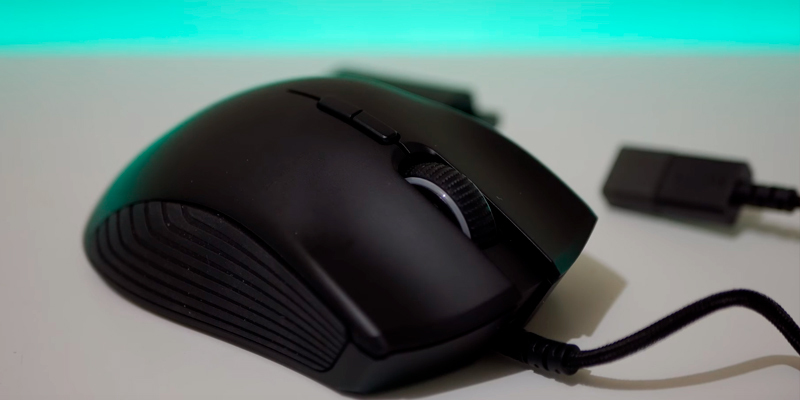 Speaking of DPI levels, unlike many other similar products, the Rival 650 features two optical sensors, which will give you an upper hand in situations when you need perfect precision. Moreover, the response time from this sensor system is two times faster compared to regular wireless models. On top of that, the DPI range scales from 0 to 16,000 which adds an extra level of versatility when it comes down to cursor scrolling speed. Moving on, with 7 programmable buttons at your disposal, you will be able to take complete control over any aspect of the gameplay. The button positioning makes it much easier to bind the controls to your liking and not to break your fingers while playing. The real issue with the wired mode is the USB cable itself. The rubber casing of the wire is of poor quality and can lead to cable snapping if not used carefully. If you intend on using this mouse in wired mode we strongly recommend a cable of better quality; a regular braided cable will do the job just fine. The silicone padding on the sides of the mouse is glued somewhat poorly and can come off if you apply too much pressure to it. 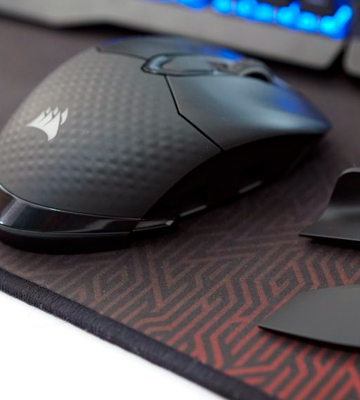 Hence, we recommend using a mouse pad that will prevent the padding from falling off too soon. In this updated mouse version, SteelSeries introduced a much anticipated extended battery life. 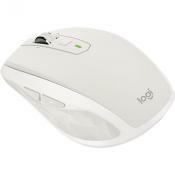 The capacity of the built-in battery allows you to use the mouse for about 24 hours from one full charge. On top of that, this model is also equipped with a quick charge feature. The way it works is nothing short of amazing. You can charge the mouse for just 15 minutes and the mouse will operate for almost 10 hours after the process is complete. In order to make the gaming process more comfortable, this wireless mouse comes with 8 weights that you can add or remove according to your liking. Although this model is by no means a lightweight one when the weights are attached, without all of these small pieces of metal it weighs only 3.8 oz. 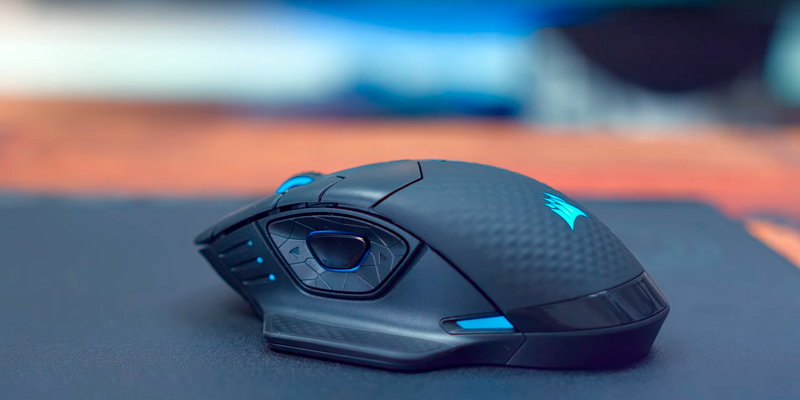 To wrap things up, the Rival 650 is a go-to pick for any gamer out there and the best wireless gaming mouse for those who seek a completely customizable product. Gamers are a meticulous bunch. Some prefer to have their mice optical while others tend to stick to the laser ones. One part of that community goes for wireless devices that provide more comfort and versatility while the other part goes for the wired ones since they usually provide much more accuracy and control. 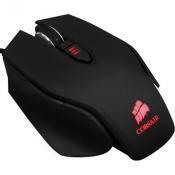 Certain individuals would like their mice to be rather light whereas some tend to go for the heavier feel. Additionally, there's a matter of adjustable or constant weight. Some prefer their devices to have an abundant amount of buttons for the most amount of control available next to your fingertips. At the same time, some tend to stick to a more orthodox design and find this kind of approach to be unnecessary and distracting. There's also a matter of form and the grip that stems from it. To conclude, pleasing every type of a gamer is an impossible task. But if we were to mention a company that is seemingly getting closer and closer to it with every new product, Logitech would be the first one on that list. 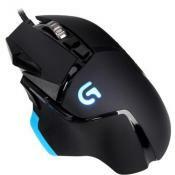 The Logitech G903 LIGHTSPEED Gaming Mouse, their newest model, will be able to satisfy almost every kind of gamer out there. Physically speaking, the Logitech G903 only varies in subtle ways from its predecessor. 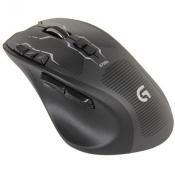 The gunmetal gray parts of the Logitech G900 have been replaced with a purely black color scheme which gives it an even slicker futuristic look with cutaways and fins that recall the design of a modern day sports car more so than a computer mouse. 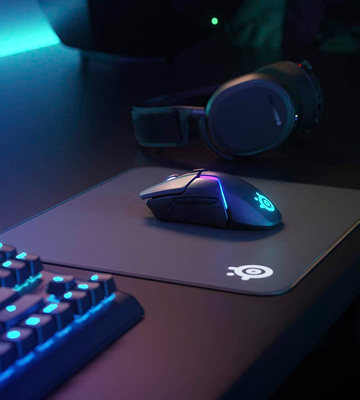 The Logitech G903’s newest trick is that it comes with the ability to wirelessly charge through a specialized mousepad called the Logitech PowerPlay. 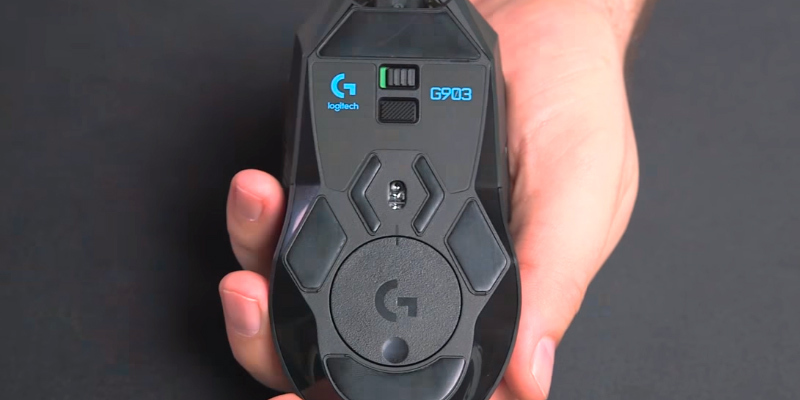 Thanks to the said device, the Logitech G903 can pull a constant current of electricity to both power its operation and recharge its internal batteries. Fully-configurable button layout and ambidextrous design allow for left- or right-handed use that works with nearly any mouse grip style. 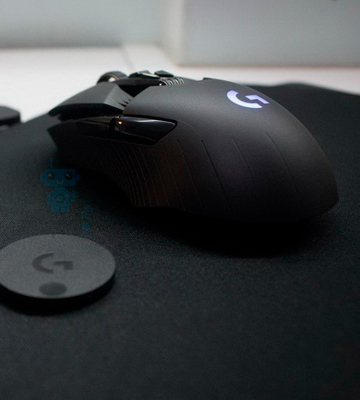 For those who want a little extra weight, the G903 comes with an optional 10g removable weight. 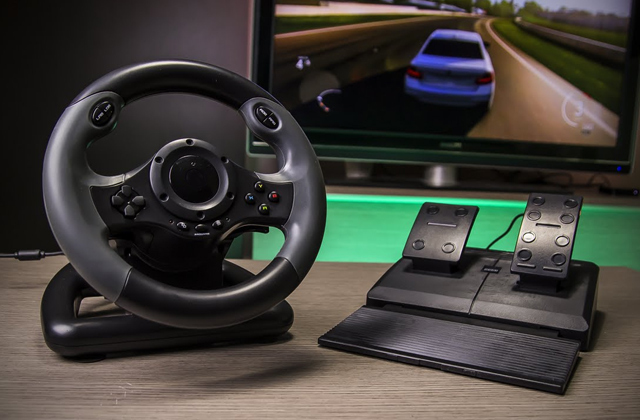 There are 11 programmable buttons and onboard memory that will allow you to take your settings with you thanks to the Logitech Gaming Software. The PMW3366 optical sensor guarantees zero smoothing, filtering or acceleration across the entire DPI range (from 200 up to 12000 DPI). 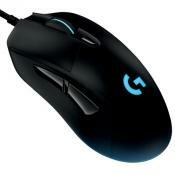 The Logitech G903 LIGHTSPEED is a gaming mouse that will suit virtually every type of gamer there is. You can use it with a wire or make it wireless, adjust its weight and buttons to make it fit any kind of hand all while having a great accurate sensor and a mechanical pivot button design. 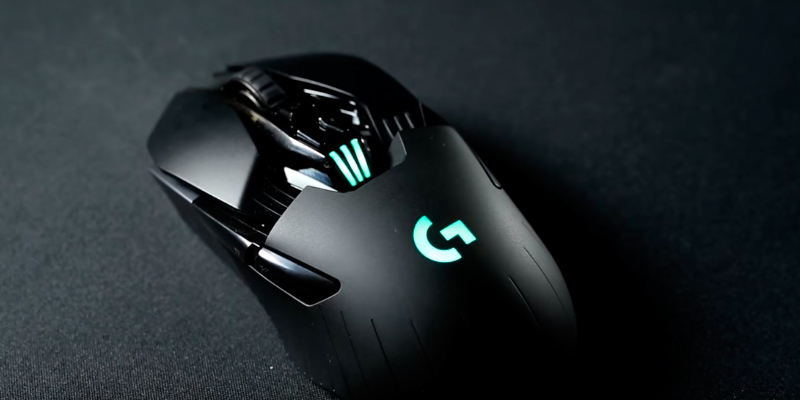 This model may seem pricey to some people, but if you are looking for the most complete gaming mouse on the market, it doesn't get any better than the G903. Very accurate (PMW3366 sensor) and very smooth movement (I'm using a "hard" mouse pad). The side buttons are mounted high enough that I rarely hit them by mistake (I have all four active). Nice weight (not too light, not too heavy). I did not feel the need to use the optional 10 gram weight. 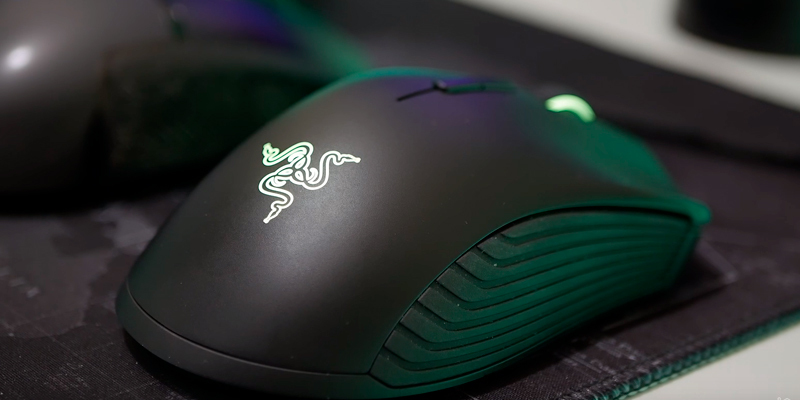 Although the Mamba from Razer doesn’t look like something special at first glance, the appearance can be deceptive. What looks like a regular mouse with RGB lights is actually one of the most renowned models on the market. But what exactly makes this rather small mouse so special after all? Let’s take a brief look at the core features of this snake-like creature to find out. 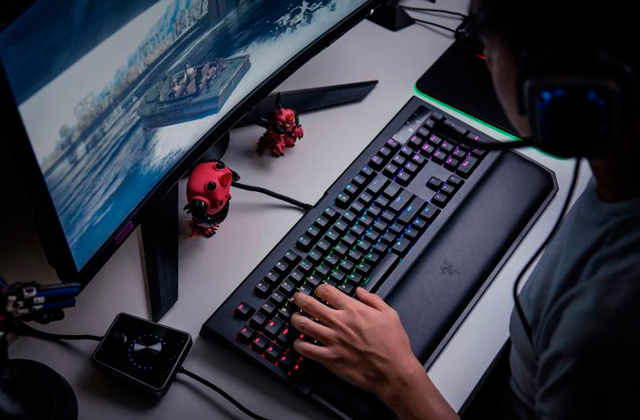 First things first, the 5G advanced sensor of the Razer Mamba allows you to speed up the scrolling speed of the mouse up to 16,000 DPI with a stunning cursor accuracy of 99.4%, which is quite impressive for such a modestly priced product. 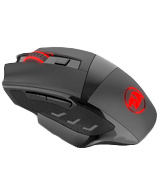 Likewise, this wireless gaming mouse model also features an IPS that can reach 450 inches per second that can be adjusted according to your personal preference or the demands of the game genre you are going to use the mouse with. While the high polling rates are more common in FPS and RTS games, the lower sensitivity settings will be more than handy for TBS, CCG or single player games. That being said, the extremely high DPI and polling rates require quite some time to get used to. However, the ability to adjust these settings to your liking will definitely come in handy. 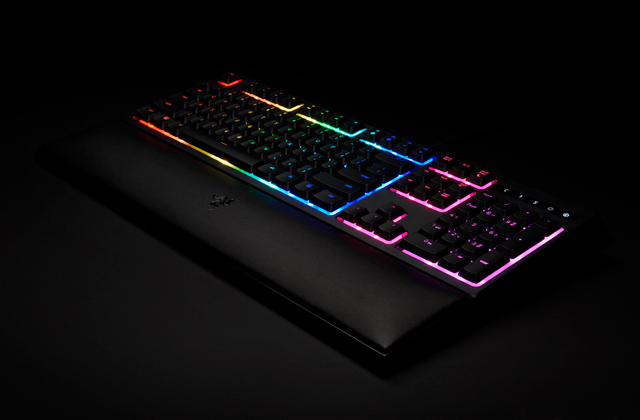 The newest, and the fiercest of the black Mambas out there, this model is compatible with the special Synapse software from Razer that lets you program the buttons right from your desktop without too much effort. 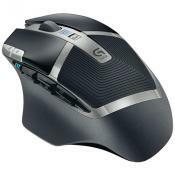 In addition to the desktop software, the mouse features 5 memory slots that utilize cloud storage in order to keep track of the known configurations. Hence, even if you reinstall your operating system the button layouts can be accessed in a matter of minutes. The overall build quality of the Mamba is pretty much solid and on point. However, the mouse wheel can be a bit loose for some users. When you use the mouse wheel as a button it can produce distinctive clicking sounds that are a bit louder than your regular mouse click. Although this minor flaw doesn’t affect the performance of the device, the sound can be quite annoying for people that don’t use headsets and prefer playing with their speakers instead. 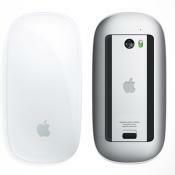 Last but not least is the shape of the mouse, which makes it easier to hold the device with both left and right hands. 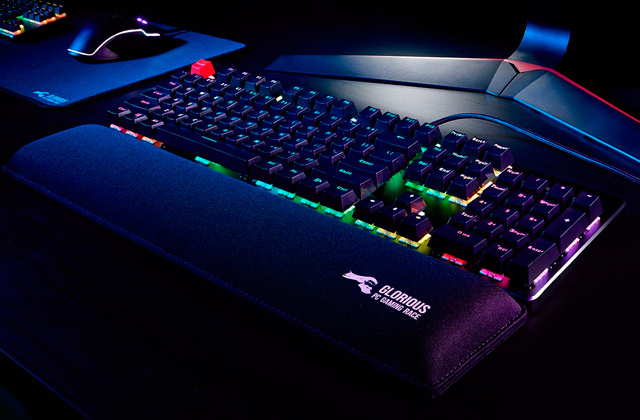 Considering how hard it can be for ambidextrous gamers to find the right accessories, the Razer Mamba will be real bliss for the vast majority of players regardless of their dexterity and how big their fingers are. 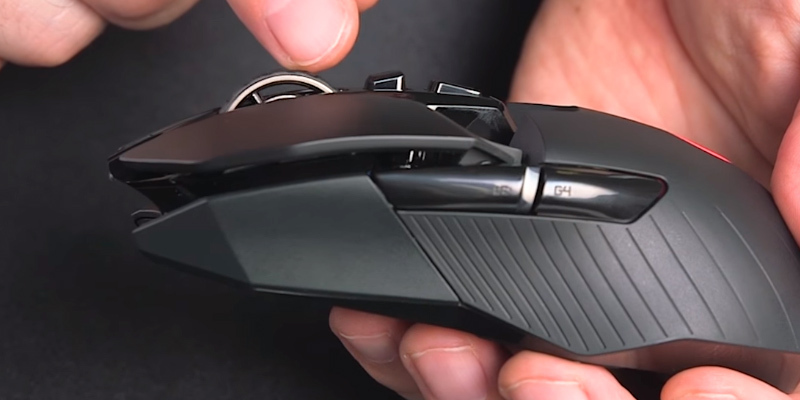 This model is a silent, efficient workhorse of a mouse that every gamer should have. The Dark Core from Corsair may look like some otherworldly device, but it’s not only the looks that make this model truly unique. 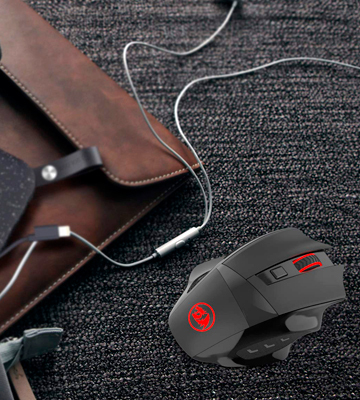 Today, you can finally forget about charging the mouse every few hours, since the rechargeable battery of the Dark Core provides you with up to 24 hours of care-free gameplay. 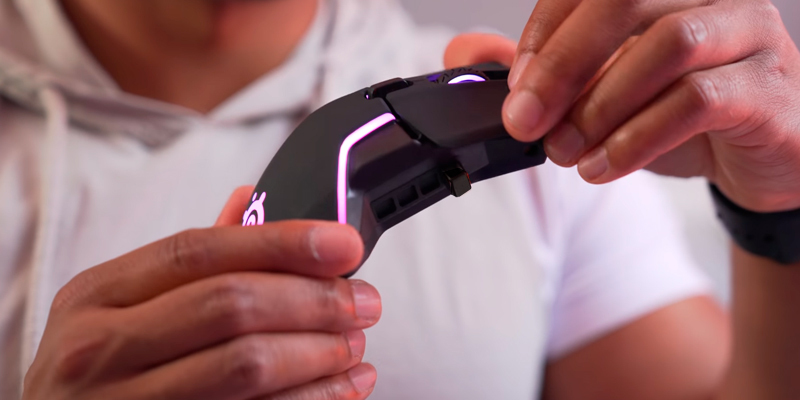 Additionally, the mouse comes with two special finger rests that can be attached to both sides of the appliance to make long gaming sessions more comfortable. Gaming mice from Corsair always have some special features to them and the Dark Core is no exception. With the sniper button on the side of the mouse at your disposal, you will have an upper hand in duels with your opponents. It is much easier to press this trigger instead of the left mouse button when you are zoomed in and it really makes a difference when it comes to reaction time. 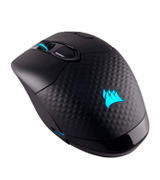 Aside from hardware features, the mouse comes equipped with a full set of software programs that allow you to adjust and customize mappings for the keys. The only real software issue is with the side buttons - you can’t reprogram the sniper button. Despite that, you can still remap the button function using your game control bindings. 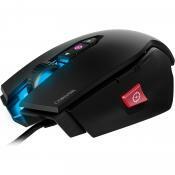 On a brighter note, however, the mouse features an onboard memory unit that can save up to 5 button configurations. 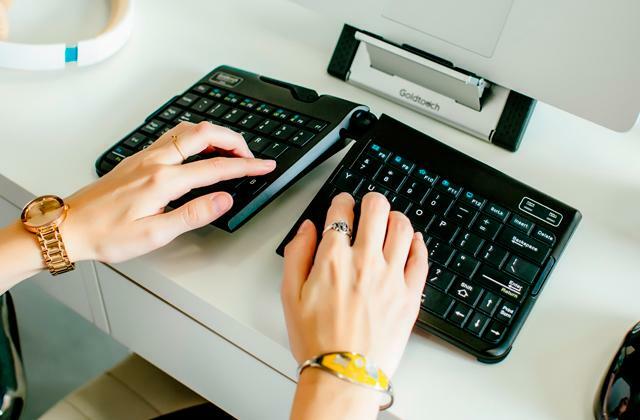 Thanks to this feature, no matter how often you change the platforms you are playing on the configurations are staying with you, which will be a good addition for both laptops and PCs. On top of the regular wireless options, this mouse can also be used as a wireless model, which adds an extra level of versatility, especially if you don’t want to drain the battery too much. 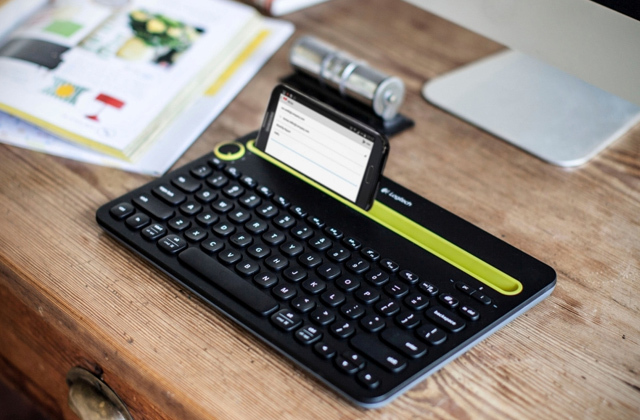 What is more, in addition to the Windows compatibility the Dark Core can be used with virtually any device that uses Bluetooth 4.0 (or higher) connections. The only thing to consider while using the wireless mode is that you need to use a dongle that comes together with the mouse in order to achieve the best signal quality. 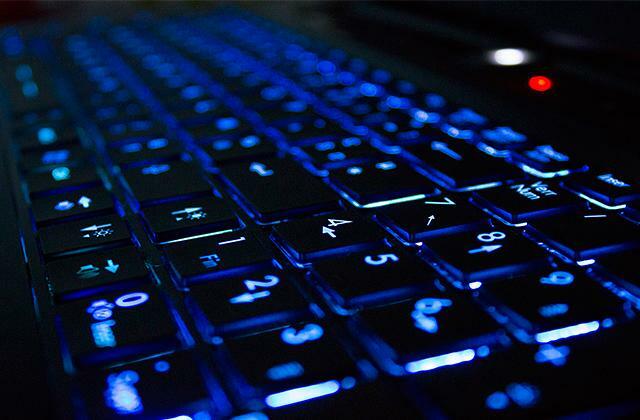 As for the nitty-gritty side of the device, Dark Core features a three-point RGB backlight that will come in handy during long nighttime sessions. Moving on, the DPI of the sensor can reach up to 16,000 DPI and is adjustable to your liking. The only thing that cannot be adjusted is the weight of the mouse. 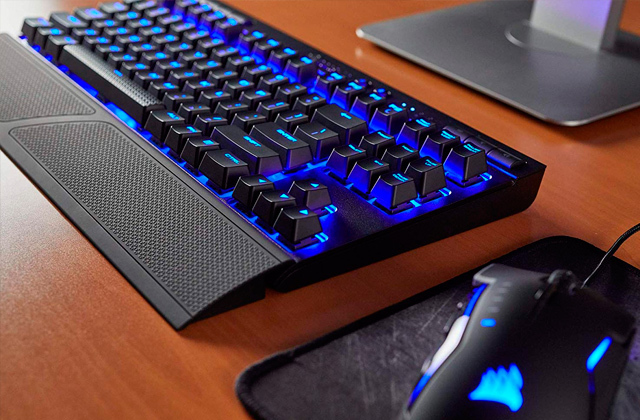 Unfortunately, considering that the mouse is not exactly a professional device, Corsair doesn’t include additional weights that can be attached to the gadget. 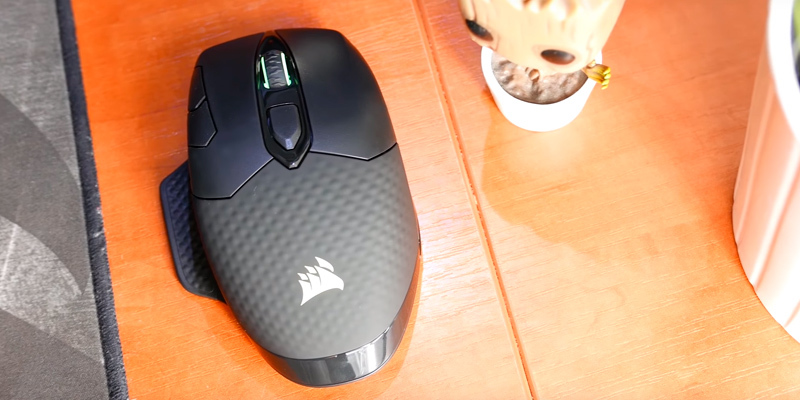 Other than a few cosmetic defects, there are no significant weaknesses and we can fairly say that this model is the best wireless gaming mouse in the medium price range. Considering the number of features that are useful for gaming included in this wireless mouse, you can’t go wrong with picking this model. By being one of the most affordable options for gamers on the market, the Redragon has more to it than just cool looks. Despite its modestly low price tag, the M653 is fairly well-built and has quite a few handy features that make it different from a number of various knock-off models. 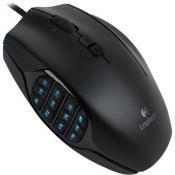 To start off, the mouse has 6 buttons that are ergonomically placed on one side and top panels. 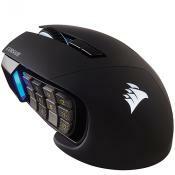 What makes this model even more comfortable to use are the finger rests on both the left and right sides of the mouse. Since it is crucial to keep cool and not to strain your palms and fingers, this feature will make long gaming sessions a breeze. 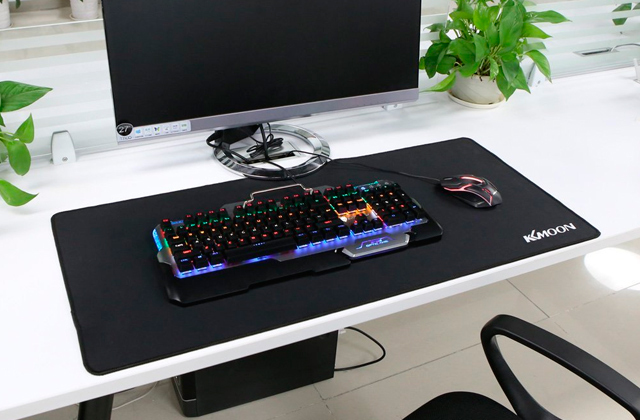 The Dot Per Inch of this model reaches 2400, which should be more than enough for casual gaming or, in case you prefer low sensitivity, for professional gaming as well. The only real issue with changing the DPI settings is that there’s only 5 of them. That being said, each preset is spaced out by nearly 400 DPI and that will suffice most of your gaming needs. Although this mouse model utilizes AA batteries in order to run, it has a special power saving system that is integrated into the body. The system consists of 3 chips, and thanks to them you can extend the running time of the mouse when using a regular AA battery. 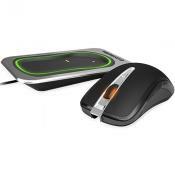 To maintain a good signal with the gaming system, the mouse operates at 2.4 GHz and is compatible with devices that have a Bluetooth transmitter. In case you don’t have one, don’t be discouraged since this model comes equipped with a USB Bluetooth dongle. The only issue with it, though, is its build quality that makes the dongle a bit stiff and can lead up to situations when you might have a hard time unplugging it. In order to prevent that, we recommend unplugging it by holding the dongle from both sides while you pull. 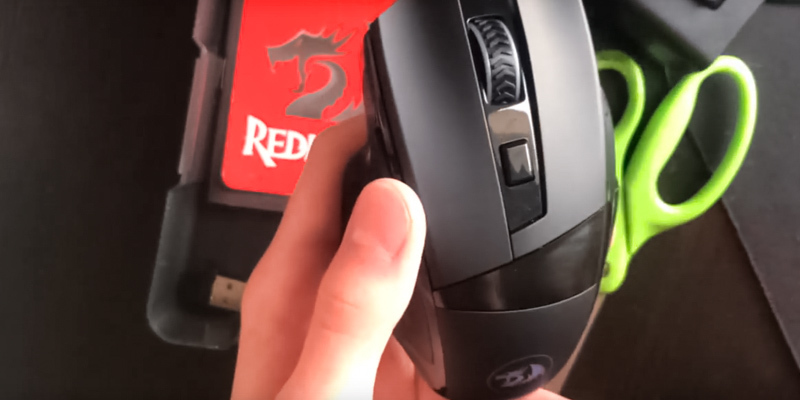 Contents and build oddities out of the way, let’s take a closer look at the software that Redragon provides with their hardware. 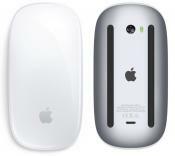 Although the company states that no software is required to use the mouse with various operating systems, the back and forward keys won’t work with Mac OS from the get-go. To fix that, you can download a native desktop application that will let you program all the buttons regardless of the operating system you are using. 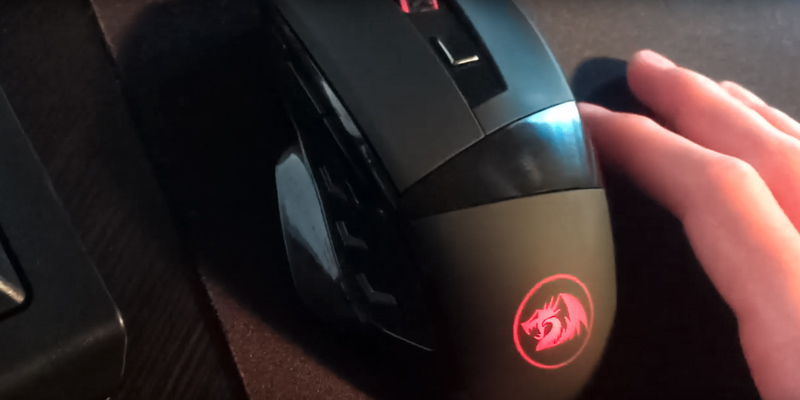 In the end, the Redragon comes out as, perhaps, the best wireless gaming mouse in the low price range, and indeed, this model is by far the top pick when it comes to upgrading from stock mice to gaming hardware without breaking the bank. 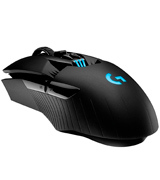 What Is a Wireless Gaming Mouse? Nowadays, gamers require more and more technologically sophisticated gear in order to compete at the highest level. Just like regular sports, cyber sports are improving. Unlike regular sports, however, the gaming standards are improving each year, if not every couple of months. 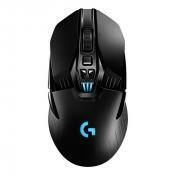 With that in mind, the manufacturers of gaming gear are producing more and more new gaming gear each season. The wireless gaming mice embody everything that the modern gaming scene has to offer - sleek design, highest speeds and finest of materials. But with a large number of different mouse models around it can be hard to wrap your head around choosing the one that fits your needs. That’s why we’ve picked the finest wireless gaming mice out there so you can pick the perfect tool for defeating your virtual opponents. Likewise, we also recommend taking a look at our reviews of gaming keyboards if you need an extra level of control and confidence. Furthermore, since gamers tend to spend quite some time in front of the monitors it is crucial to stay comfy while playing. By picking a good gaming chair, you will stay both healthy and comfy, so don’t hesitate too long while picking the hottest one! 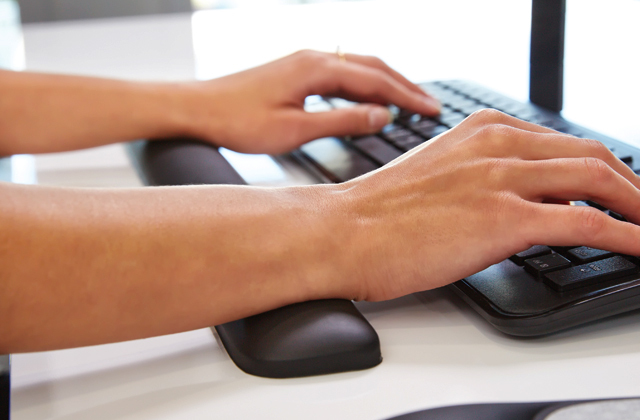 The Dot per Inch or simply DPI is the rate at which a computer mouse is capable of moving the cursor on the screen according to its position on the surface. 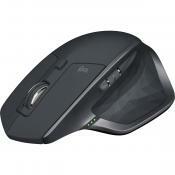 The bigger the DPI range the more versatile the mouse is when used for different tasks. Would it be the newest and hottest FPS game or simply for browsing the internet, the larger the range is usually the better. However, it’s not the most crucial thing to look for when choosing a mouse replacement. 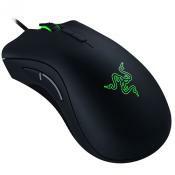 These two factors are extremely important due to the fact that you want your mouse to be comfortable to use. And since you are going to move your mouse quite a lot, it also has to withstand a lot of possible wear and tear over time. Hence, the body of the product must be made of durable material while maintaining an ergonomic shape. 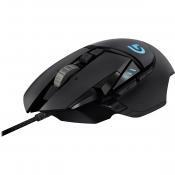 Additionally, the mouse can be equipped with rubber or silicone padding that give you an improved grip and comfort of use. One of the most crucial aspects of any wireless product is the battery capacity. The greater capacity does not always mean better performance, though. Since the development of polymer batteries is rather slow, you won’t be able to find a device that will operate for days without being too heavy, and too heavy are not the words usually associated with gaming mice. Hence, it is important to find a perfect balance between the overall weight and autonomous capabilities of the gaming mouse that you fancy the most. Alternatively, you can always opt for products that run on regular AA batteries if you prefer your mouse to be lightweight. If you don’t want to charge your mouse every day, you can also look into combo models that can be used in both wired and wireless modes. The programmable buttons can be a real deal breaker when it comes down to various game genres that require a lot of micromanagement. The ability to control even the smallest aspects of gameplay can determine a course of the gaming match between equally skilled players. Alternatively, you can bind almost any keyboard command to your mouse buttons if you want to use it outside of gaming, which adds a bit of versatility over regular computer mice. Speaking of weight, there are a lot of gamers out there. While one gamer would prefer a lightweight mouse model, the other might choose a bulkier one because they got used to playing with a heavier mouse. In order to make a mouse more versatile, the manufacturers usually add a special compartment to it so you can add or reduce the weight of the device according to your personal preference. While mice with laser sensors are quite good in terms of precision, the number of surfaces they can be used on is quite limited. On the contrary, however, the optical sensors are usually less precise but can be used on almost any surface from wood and metal to glass and plastic. In order to minimize the precision gap between these two sensor types, some mice can be equipped with two optical sensors at the same time. Nowadays, the majority of gaming mouse models are advertised as having the highest DPI and polling rates possible. But how exactly does DPI and response rates of your mouse affect the actual gameplay anyway? Since you don’t need perfect precision when working on your university project or browsing the web, these aspects will only matter to a specific cast of PC users - gamers. When everything is at stake, you need to be swift and precise with your actions and a wide range of DPI is crucial for gaming mice. Being a subject of controversy between gamers, the polling and DPI rates are needed to appeal to the wider audience of gamers. Depending on personal preference you can always change the cursor moving speed and that is understandable, especially considering the large number of players that specialize in different game genres. The ability to quickly change the DPI of your mouse can be a real game changer in situations when the game is locking the speed of your cursor while in game. For example, you are playing an FPS game and you have set your mouse sensitivity to a comfortable level, but as soon as you start using the scope of a sniper rifle the cursor moving speed drops drastically. In order to improve the experience, you can change the speed of your mouse in just a few clicks, and that is just one example of how useful that function can actually be. There is a lot of debate on how actual DPI affects the gameplay process, but the fact remains, if you can change the speed on the fly - you have an advantage over an opponent that doesn’t have this opportunity. It is always handy when all of your gaming gear is customizable and configurable. Nevertheless, you may find yourself in a situation when the software doesn’t seem to work properly. In order to prevent possible tracking issues you will need to program your gadget right out of the box and we will help you out in doing so. First of all, you will need to test the mouse by setting the highest polling rate possible to see its limitations. When the mouse stops responding - you will know it’s top polling rate. We recommend using reasonable polling rates since high settings tend to drain your CPU performance. Even though it sounds tempting to do so, setting the mouse tracking to more than 1000 MHz is not recommended. 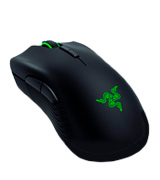 Secondly, you can program the existing buttons of your mouse according to your gaming needs. The key commands can be anything really, depending on the game genre or according to your liking. Want a Push-to-Talk button activated by your thumb? No problem! Just remap the existing key to your respective mouse key (note that some mouse models come without additional software and you may need to use applications like XInput or DirectInput instead). Finally, although we covered the basics, there might be more tinkering to be done. Just remember to check every setting and adjust DPI and sensitivity as needed before you face real opponents, it is vital to test how your mouse reacts to your inputs before you go online.